4 Bedroom Semi Detached House For Sale in Ventnor for Offers Over £284,000. 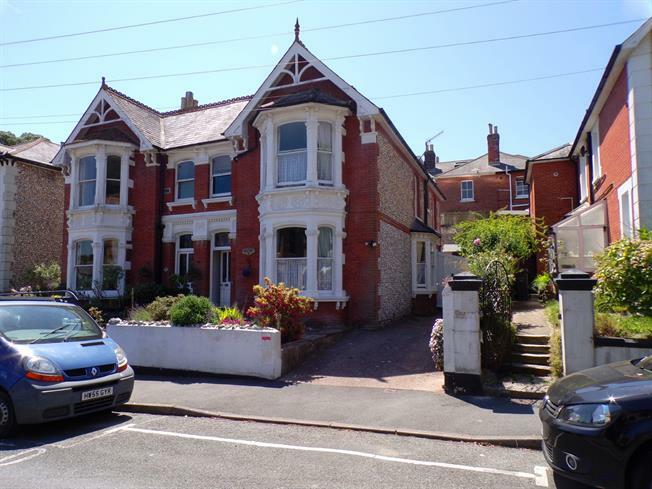 This large family home is in a quiet street (with a sea view) yet close to Ventnor town centre & the sea front itself. The property boasts period features including high ceilings & stained glass & offers very spacious living accommodation, namely, 2 large reception rooms plus a kitchen with separate dining room & spare WC downstairs. From the kitchen there is access to a comfortable sitting area/garden room going out onto the rear courtyard garden which is a lovely sun trap. Upstairs there are the 4 bedrooms (3 large doubles & 1 single) plus the main bathroom & separate WC. To the front of the impressive looking house is a driveway for 2 cars. With its proximity to shops, amenities & bus route this sizeable home has everything you could need.